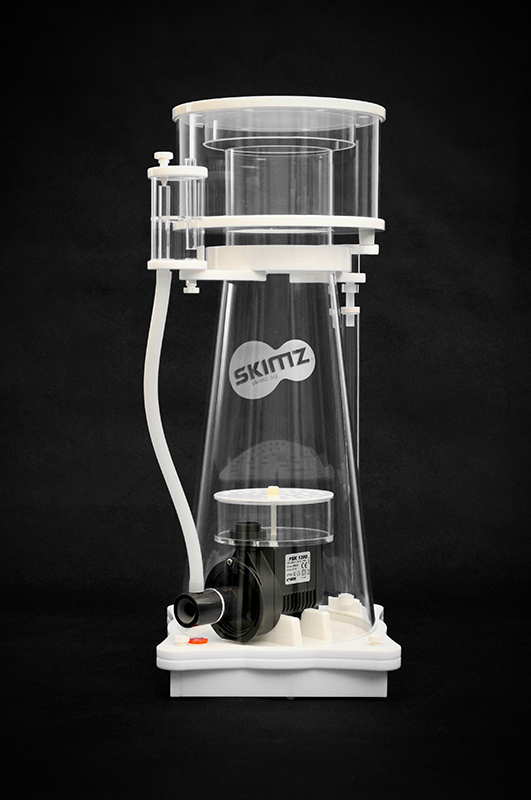 The Skimz KONE S-Series protein skimmer is the successful result of blending state-of-the-art technology with attractive design. 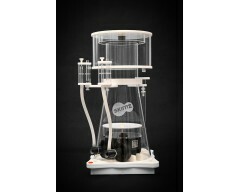 KONE's conical-shape has distinct design advantages - the bubbles in the reaction chamber are forced to move vertically upward, resulting in natural foam formation to minimize bubble bursting. This natural foam formation of the bubbles reduces surface agitation, thus creating a gentle foaming within the skimmer and results in increased skimming efficiency. 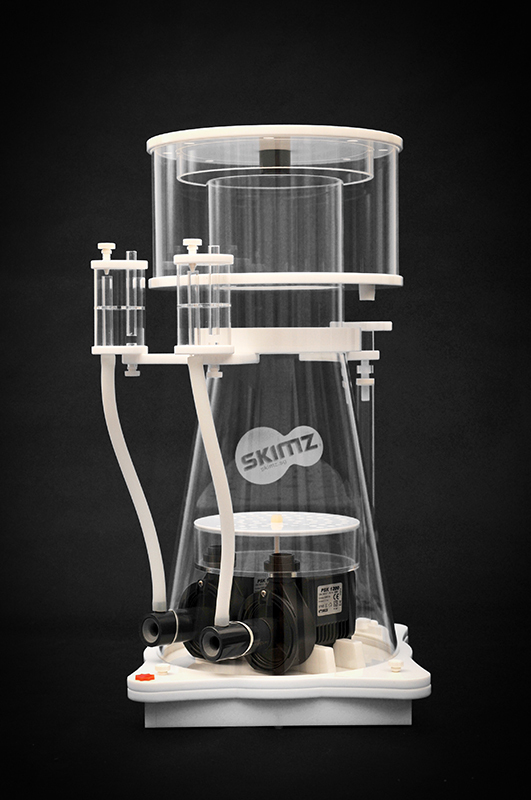 Together with the use of the bubble plate design, turbulence within the reaction chamber is significantly reduced, allowing maximum air flow capacity in a compact skimmer. 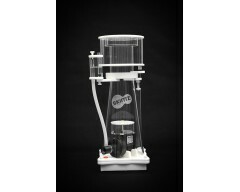 All Skimz Kone S-Series skimmers are fitted with the Italian Sicce PSK needlewheel Pumps. 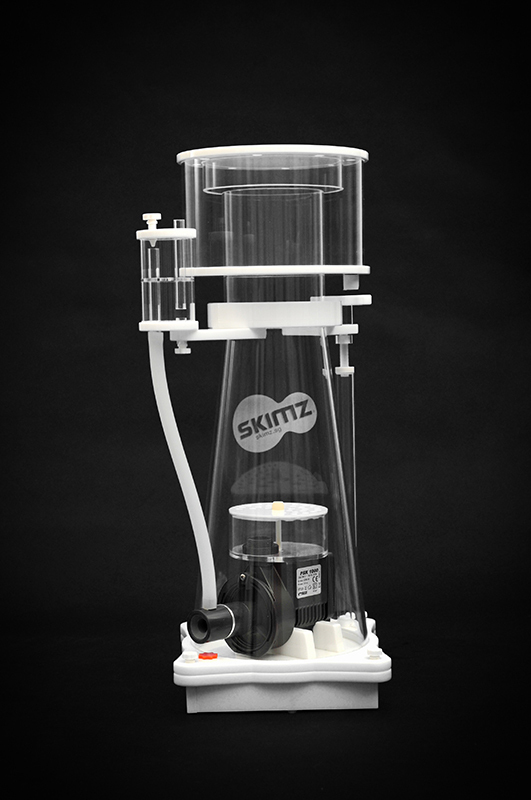 Skimz Kone S-Series model is designed for in-sump use. 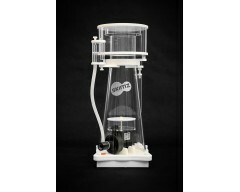 No feed pump required, skimmer draws water directly from sump.